The Kelly name is synonymous in the Queensland kerbing industry. We are a 3rd generational family owned road kerbing company established in 1973 by Noel Kelly trading as NM Kelly & Co. Noel a licensed drainer was heavily involved in commercial and subdivisional drainage in the late 60’s, early 70’s. Noel could see an opportunity to offer his clients the complete package so in 1973 he bought his first kerb and channel extruder machine. In 1976 Noel’s son Shaun joined the family kerbing business progressively working his way up to a kerb finisher/operator learning all facets of the kerbing industry. In 1986 Shaun established Kelcrete to tackle the new and innovative kerb markets such as coloured and exposed kerbs whilst subcontracting to NM Kelly & Co. The father and son team continued working together to build the family business. In 1993 they bought their first slipform machine, a Power Curber 8700 which enabled the company to extend the services offered to clients including concrete barrier walls and concrete pathway paving. The company kept growing, while long term competitors faulted. The year 2009 was a very significant year for the company. Shaun’s son Liam joined the company making it a third generational business. 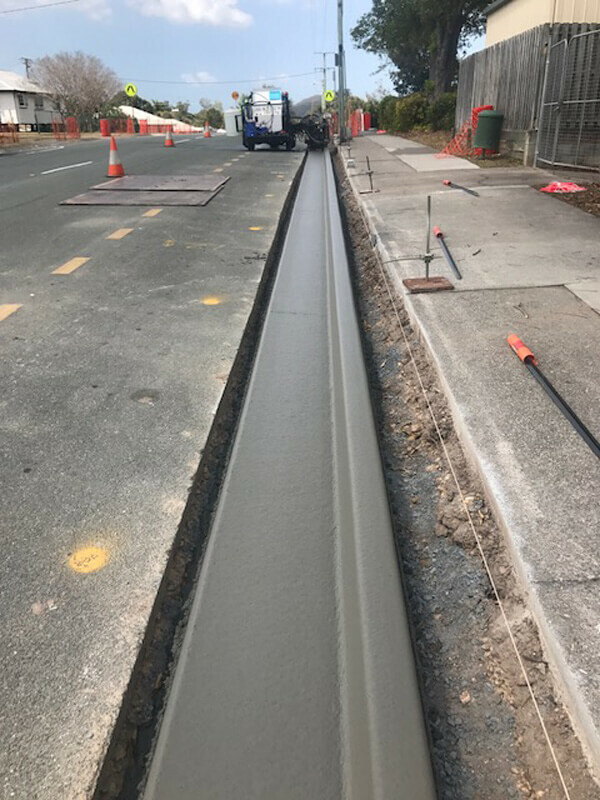 We are Brisbane’s oldest and longest standing kerbing company. 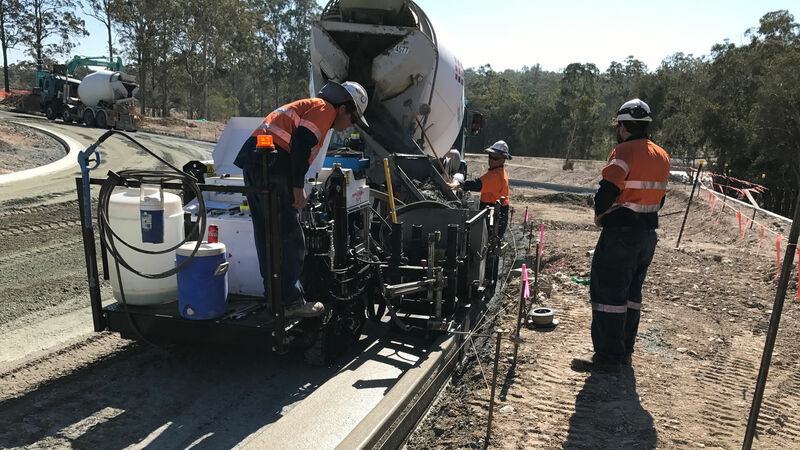 2009 was also the year Kelcrete Qld Pty Ltd made the decision with a new generation that we needed to fully embrace the new and better methods of placing kerb. So out with the old antiquated ways of dry extruding kerbing and in with the new method Slipform Kerb. 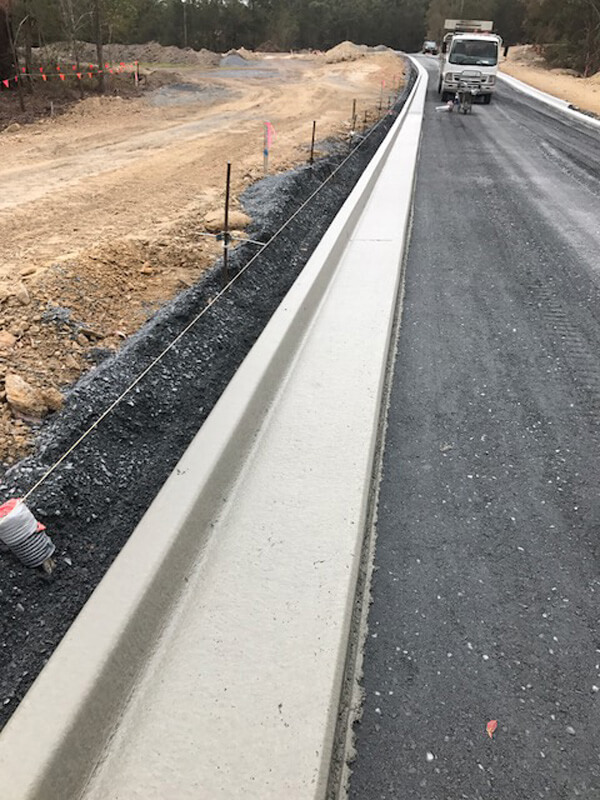 We are the leaders in our field of slipform or wet pour kerbing. 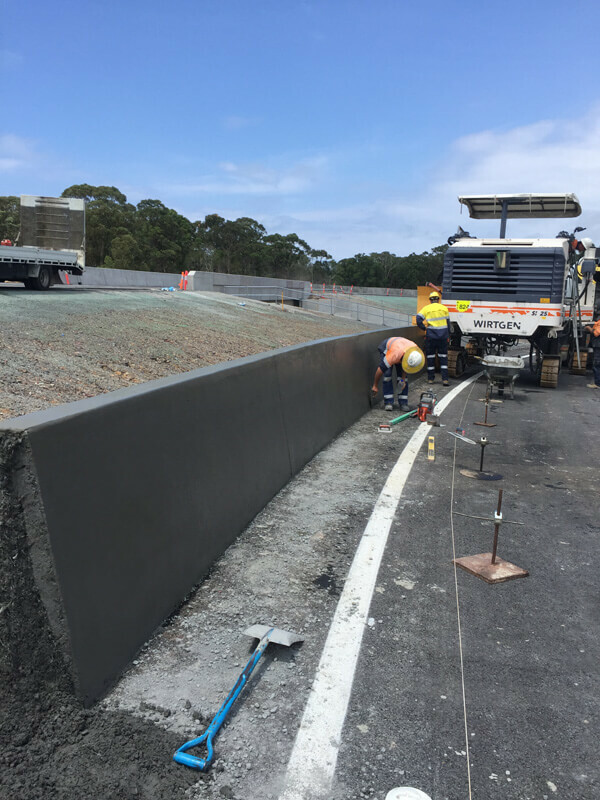 For all enquiries realted to slipform machine laid kerbs, kerb and channel, barrier walls, footpaths, bikeways, dish drains , call Shaun Kelly on 0418 736 792 or email at shaun@kelcrete.com.au.